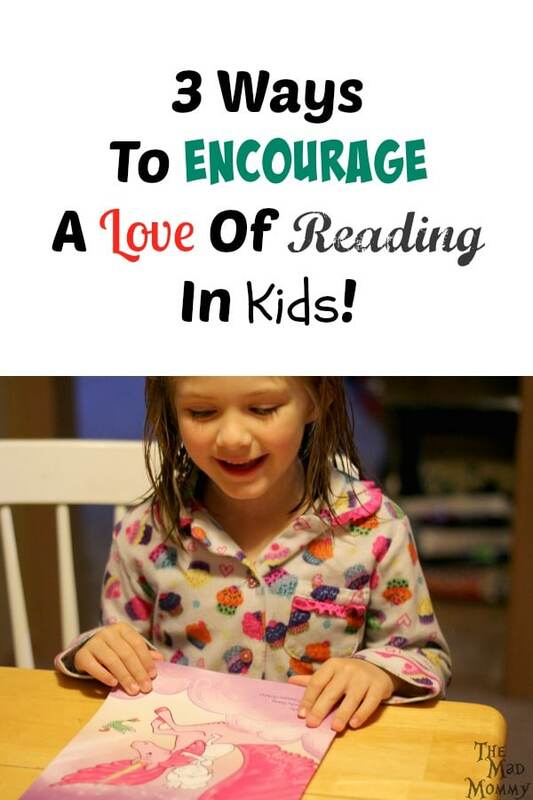 3 Ways To Encourage A Love Of Reading In Kids! Encourage them to engage with you and the story. Make funny faces, use different voices for the characters, make fun hand gestures or, you could even have them act out the story with you. Find a way to make the story just for them. Change the name of the main character or insert your kids into classic stories that they already know by heart. You could also have personalized books made for them, like the ones at I SEE ME. They put your child’s name into the story or coloring book. I am telling you, kids just light up when the story is “about them”. 3. Make a special place for reading. Whether you create a book nook in your home or, you just have a special chair, make it a special place for reading. Make sure it is comfortable, well-lit and you can keep a basket of books near it, that you can rotate out to avoid boredom or repetition. I like the idea of having their own special little place for meeting. My son loves going into little cubby areas in just cuddling. I’m going to make a little bookshelf next to it. I think creating a special place for the kids to read is a great idea. We have a reading nook in my daughter’s room. I developed a love for reading at a very young age. I love the idea of a designated reading nook! I love these tips. It’s so important to encourage kids to love reading. It opens up so many worlds to them. All very solid tips – sound advice to help kids develop good early reader skills! My kids LOVED reading and having a special reading space, or nook works wonders! A love of reading is such an important thing to teach when children are young. They will carry that love of reading into adulthood. Summer reading programs are a great way to keep the kids reading when school’s out. Encouraging kids to read at an early age is very important. My kids loved it when I read to them when they were young. Building a book habit in preschoolers is a critical part of their long-term reading success. As parents, we’re all familiar with the books we’ve read again and again. Once your child is ready, ask them to read a book to you. This works even if they aren’t really reading yet; let them tell the story as they remember it. These are all great ways to get a kid to read!! I have loved reading since I was a kid and always buy my nieces and nephews fun books to encourage them to read!! As a Reading Specialist, I just love this post. You have addressed a ton of the issues that make young learners resistant to reading. My boys and I simply love reading together in their cozy book nook. These are awesome things to do to encourage reading. I used to read to my kids and have them read to me after they were old enough to read. The personalized books are great idea too for encouraging reading. Thanks for sharing the tips. I’m so glad both of my girls love to read. They’re doing so well with it too. My youngest has been doing a very excellent job with reading and she’s only 6! These tips make perfect sense! How better else to encourage a love of reading in the kiddos than by reading with them? Thanks for the fun reminder! I was lucky with my kids, they were both born to read just like me. I agree with a previous commenter. Summer Reading programs are going to be great for those kids who love to read, learning to read, or even need more help with reading. My boys love reading. They love bedtime stories the best. We always go to the library in the summertime. I can’t wait to spend time with my boys this summer but I have to keep them reading. I don’t want them on electronics all summer long. Wonderful tips, reading is one of my favorite hobbies. We love to read outside when we go camping. My daughter is also more receptive to reading if she can do it outside. These are all good ideas to instill something in our kids that has so many benefits. These are some great ideas! My parents always pushed me into reading, starting with always reading to me every night before bed, then eventually it graduated to me reading to them! I think it’s important for our kids to have a love of reading! My daughter recently asked us to create a special place for her to read. I’m trying to come up with an idea right now in our tiny house. Leaning towards doing some sort of reading nook in her room right now. Great tips! My husband is a bookworm and he greatly influenced our son to read which makes me so happy. I used to read a lot too, but my hectic schedule is keeping me from doing it. It is so important to start early and make it fun. I think when we wait it makes it seem more like a chore. We just got Scarlet a reading area teepee. I’m so excited! I used to read with my kids bnefore bedtime and now they love to read books. It’s good to start them at a young age as they do become avid readers. Reading with them will be a great bonding and I love the idea of a special place for reading. It should be cozy and fun to stay there for the kids to be more active in reading. I definitely will share with other moms this article. I absolutely love this article. I am bookmarking and sending it to all of my friends who are teachers or have little ones — that’s how important this is! A love of reading is crucial to developing imagination. A love a reading helps kids learn someday as well because all topics must be learned by reading, right? Love this!! I love this. Love for reading is something that I would love to share with the kids. It’s nice to make the experience more personalized for them, it will definitely make them feel more excited to read. Great tips here for anyone struggling with their kids’ reading. Personalisation is certainly an awesome attraction. This is such a great topic. Many kids don’t like to read for pleasure anymore. Reading can be interesting as well as boring, so your tips are highly recommended. Kids also tend to learn by what you do and not what necessarily what you say. I’d recommend showing kids your own love of reading and keep all sorts of books around. Their natural curiosity will lead the way. Such a good topic and I think I need this for my son he;’s always distracted with his toys. Glad you share this tips. I used a wooden shoe organizer, added a shelf and created a corner library that my daughter can access straight from the bed. My daughter loves it! Making a special place for reading seems pretty cool and super comfy for kids and adults alike.